If you're looking for the best Canon lenses available today then you've come to the right place as here are the top 23 lenses that scored the highest results in ePHOTOzine's reviews. Lenses, like all of the equipment ePHOTOzine put to the test, are scored on four factors: features, handling, performance and value for money. The score you see below each of the lenses featured in our top 23 is the overall 'verdict' score that combines the four deciding factors into one sum. The lenses featured range from super-telephotos to wides and everything in between so no matter what your favourite photographic subject is, you should find a lens to suit your needs. As with all of our top lists, you can purchase/find more information about each lens listed by clicking the green Amazon buttons featured below each product. It doesn't cost you anything extra when you press our Amazon buttons but by using our Amazon Affiliate links when ordering anything online, you are supporting the site - thank you. * Clicking 'Buy on Amazon USA' will redirect you to the Amazon store for your country. If you are in the UK please use the 'Buy on Amazon UK' button. 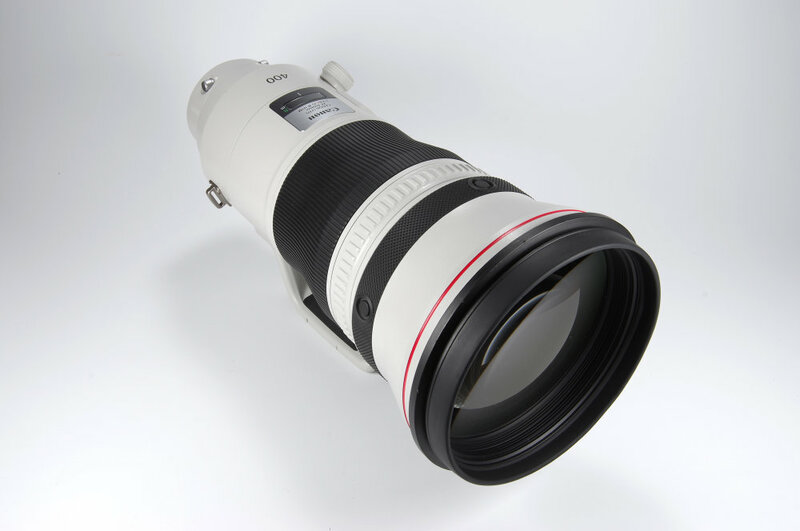 The Canon EF 400mm f/4 DO IS II USM is a professional-grade telephoto lens, which sports a moderately fast maximum aperture of f/4, image stabilisation, silent focusing with full-time manual focus override and a relatively compact design, thanks to the use of Diffractive Optics. 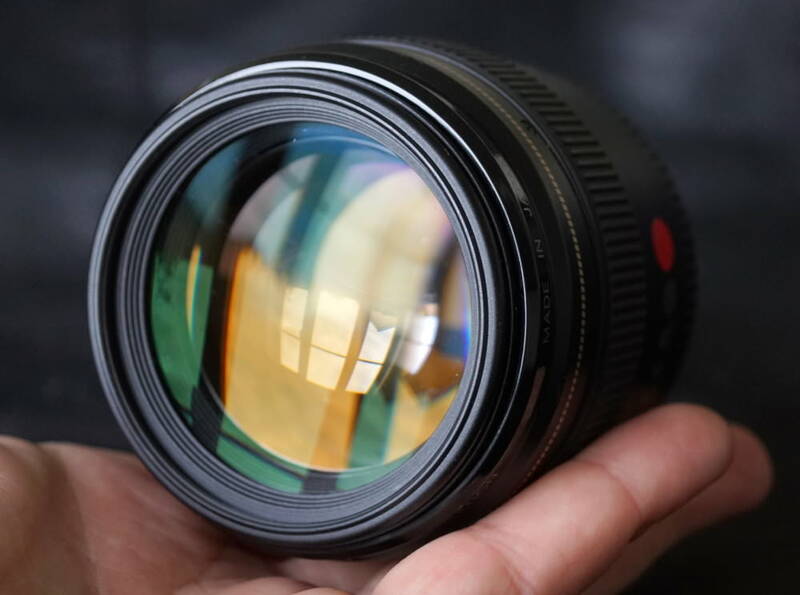 It won't be a lens everyone is running out to buy due to its price point (it's nearly 7k!) however, due to its exemplary performance, you'd be hard pushed to not be pleased with this lens. Plus, the relatively compact dimensions make this lens fairly easy to hand-hold, especially when compared to the more expensive 400mm f/2.8 lens also available from Canon. Start saving! A well crafted photographic tool that does its job flawlessly is always a pleasure to use, and this new lens can be fairly described as just that. Fair enough, we lose a little of the ability to throw backgrounds out of focus by sacrificing the usual f/2.8 aperture, but we gain portability, a lower cost and there is really very little sacrifice in terms of narrow depth of field. 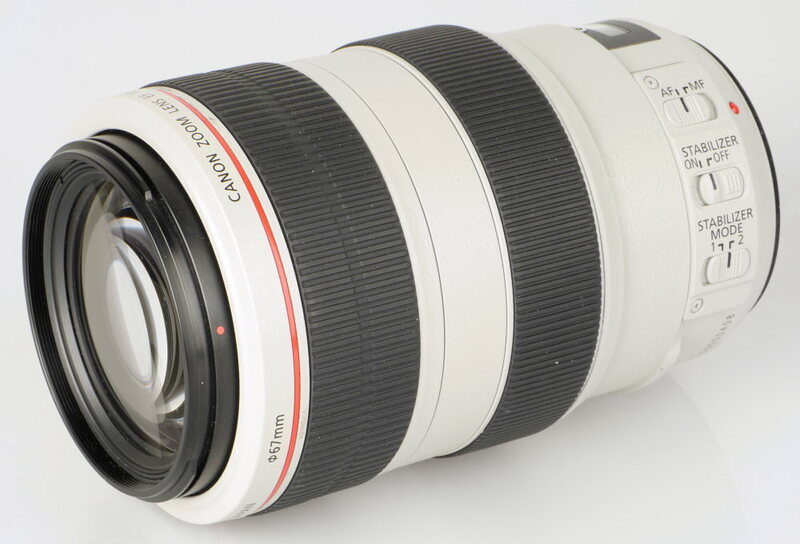 The f/4 70-200mm lenses, in general, look an attractive proposition and the Canon EF 70-200mm f/4L IS II USM is a particularly good example. 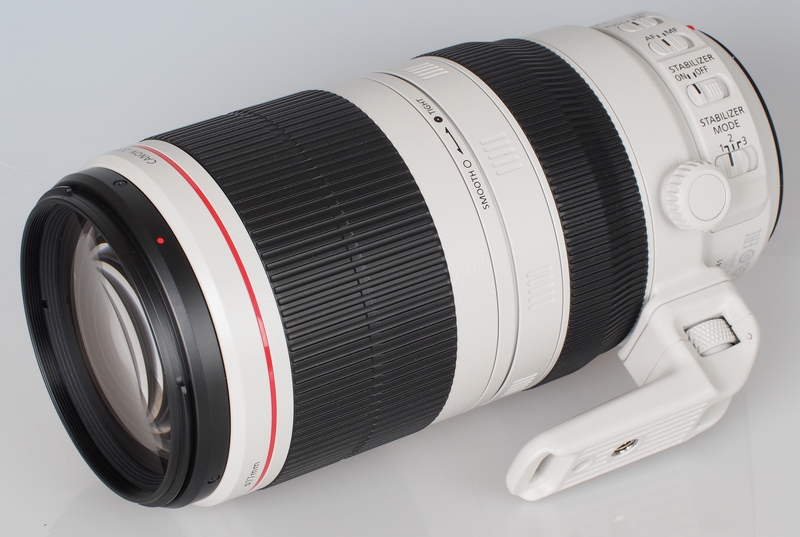 The Canon EF 100-400mm f/4.5-5.6OL IS II USM was announced last year and as its predecessor was popular due to its compact size, light weight and good value for money, it had a lot to live up to but it didn't disappoint. It sports a zoom range of 4x, a maximum aperture of f/4.5-5.6, a four-stop IS and as it's weather sealed, you can confidently shoot in poor weather conditions. Overall, the lens handles really well, focusing fast when needed and capturing sharp images. 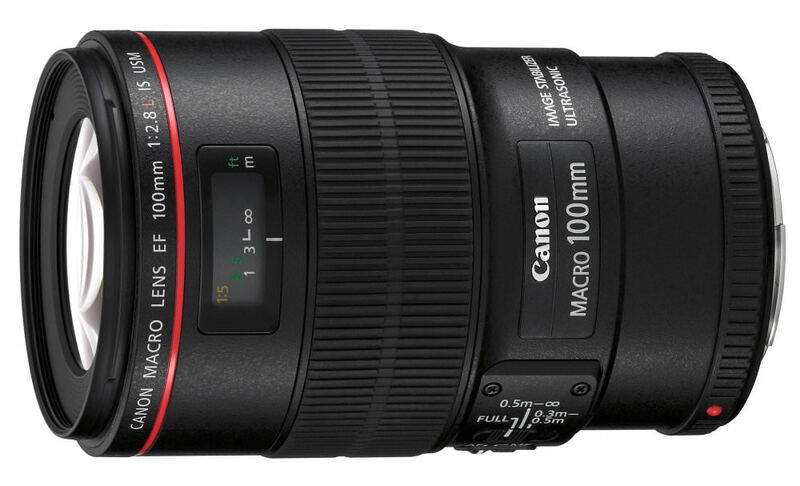 The Canon EF 100mm f/2.8L Macro IS USM has been a while now but it's still worth talking about thanks to the impressive, high-resolution images it can produce as well as its IS performance. The lens provides life-size magnification at its closest focus, is weather-sealed and has an ultrasonic focusing motor. Focusing is excellent in fact, manual focus is a pleasure to use and superb levels of detail can be recorded with this optic. 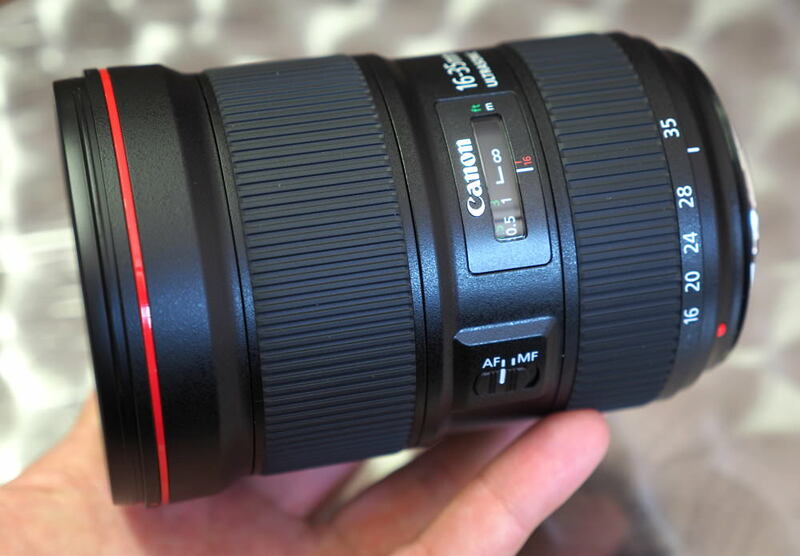 Announced in 2014, the Canon EF 16-35mm f/4 L IS USM is an ultra-wide lens that sports a zoom range of just over 2x, a four-stop IS and a constant maximum aperture of f/4. As far as sharpness is concerned, this is one of the best zoom lenses we have tested with it producing outstanding sharpness across the frame from maximum aperture. Yes, we did find that the far corners remained darker than the image centre, even when stopped down to f/16, but this is easily corrected by software. Even with the odd niggle, this lens is well worth looking at. Another wide but this time, it's a prime lens that has a f/1.4 maximum aperture, fast ultrasonic focusing and professional-grade weather-sealed construction. The build is typical of Canon's L series lenses, and the lens feels very robust. 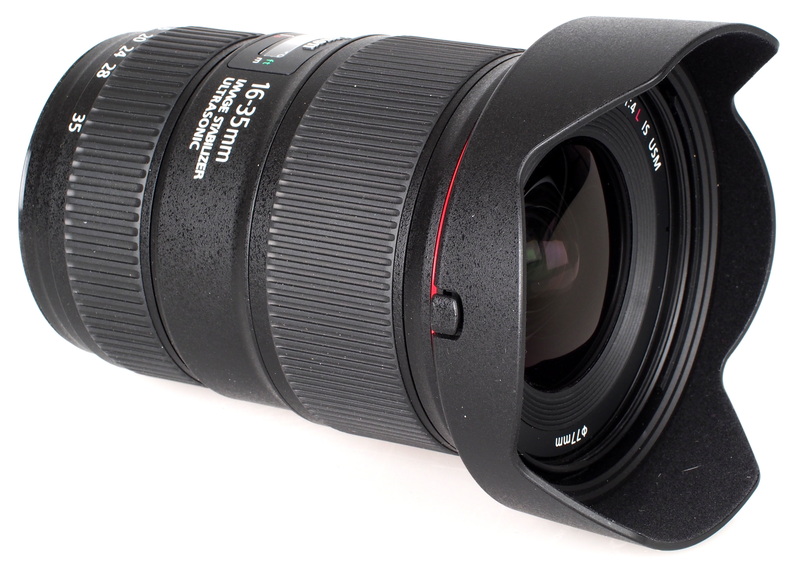 As for performance, images produced by this lens have good contrast and are packed with detail. Low light performance is good and the lens is very resistant to flare. Quality towards the edges at maximum aperture could be better (although this is a minor concern for a wide aperture lens like this) but overall, the Canon EF 24mm f/1.4L II USM offers excellent optical performance. 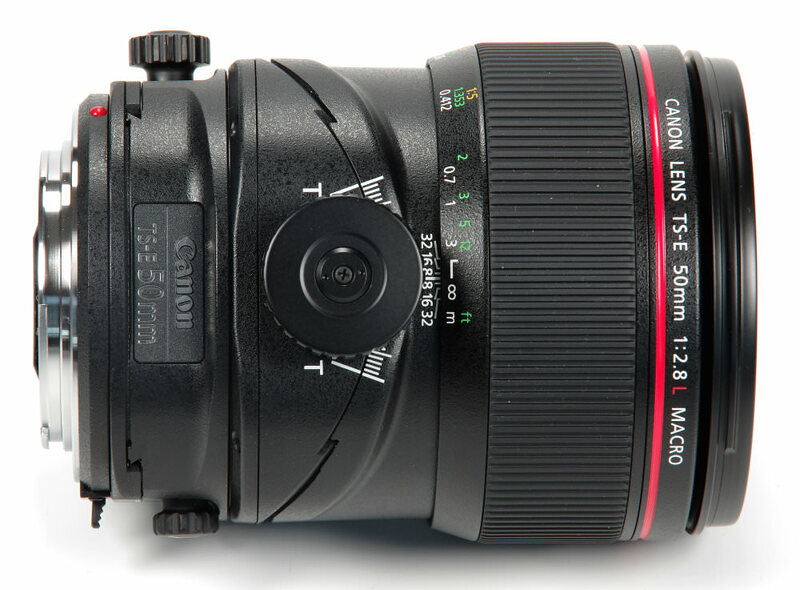 The Canon EF 16-35mm f/2.8L III USM wide-angle lens for full-frame Canon EF mount cameras performs incredibly well and it's built well, too. The wide-angle lens is also weather sealed which brings peace of mind when shooting in rain showers. The price may be considered high by some but it's actually worth the 4-figure sum when you look at the list of pros it offers the user. When in use, there's no flare and sharpness as well as CA correction is excellent. Close focusing is impressive and the lens performs consistently well. 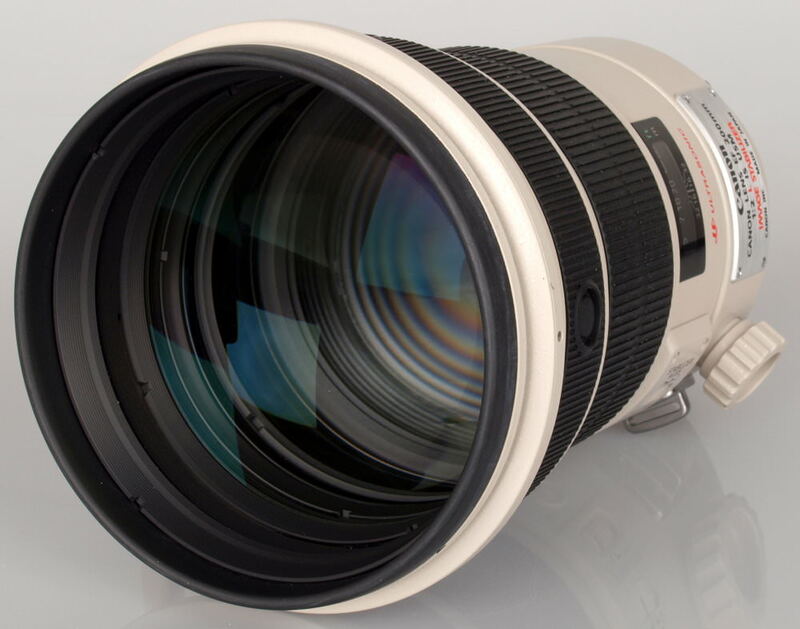 The Canon EF 400mm f/2.8L IS III USM is a great lens, although at a very high price from which there is no escape. It handles well, it has that fantastic f/2.8 aperture, it is teeming with features. If you need it and can afford it, then Canon users have an incredible 400mm option to consider. Highly Recommended. When this lens first came out, it was almost £4600 but as it's now almost 3-years old, the price has reduced a little to £4350 but it's still a price not justifiable by all. The Canon EF 200mm f/2L IS USM features a fast maximum aperture and silent focusing with full-time manual focus override. It certainly performs very well offering superb sharpness from the maximum aperture with virtually no CA or distortion. Design and build-wise, this lens bears all the hallmarks of Canon's high-end telephoto lenses and IS doesn't disappoint. 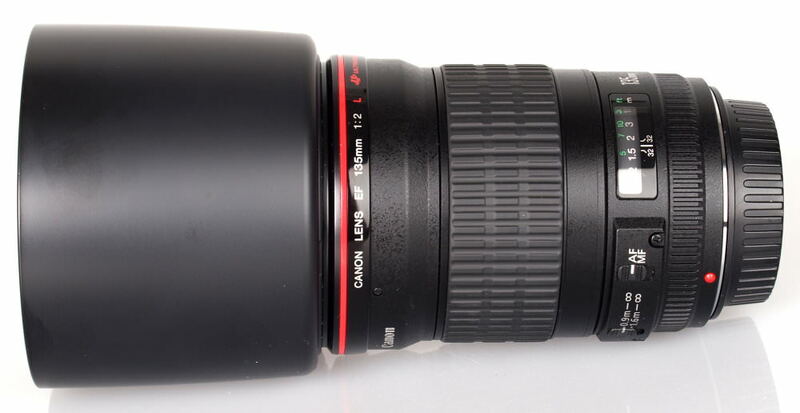 The Canon EF 70-200mm f/2.8L IS III USM is another fine lens and one that delivers the goods efficiently. A very fine photographic tool that would be a pleasure to own. There is very little about this lens that isn't resoundingly positive. However, weight and price. Do we need f/2.8 as opposed to f/4? These are the critical factors and of course my own resolution of them may be very different to the next photographer's. In terms of performance, both lenses are equally superb. In conclusion though, if you need its specification, then you will not be disappointed by a really great lens. Highly recommended. The Canon EF 70-300mm f/4-5.6L IS USM has a tough body, tougher than you might expect to find on a lens covering this range, a sports silent autofocus, with full-time manual override, weather sealing and optical stabilisation. Autofocus is powered by an Ultrasonic motor which means focusing is extremely fast and accurate as a result and optical performance is remarkably consistent throughout the zoom range. CA and distortion are low, plus the lens is actually quite light, making it especially well suited to those looking for a high-quality tele-zoom, without weighing themselves down too much. 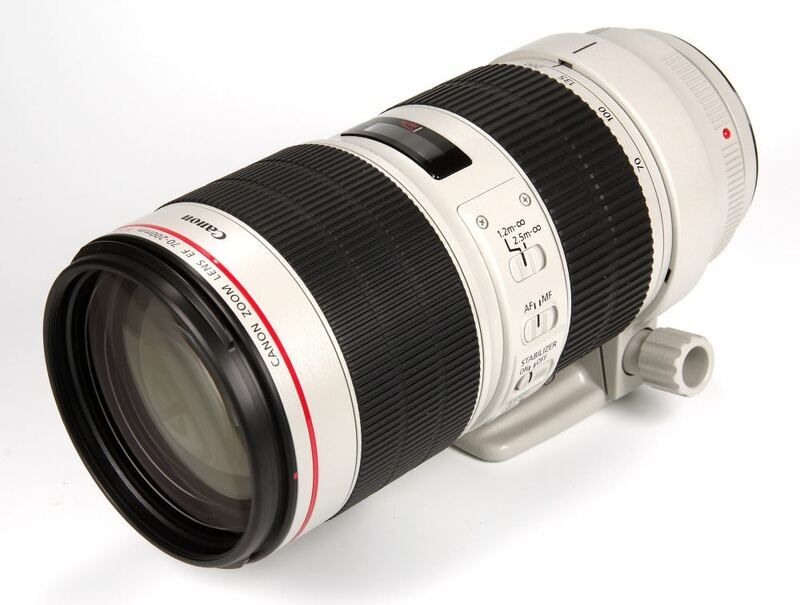 The Canon EF 300mm f/2.8L IS II USM is a professional super-telephoto with a price-tag that's as high as its performance. At over £5k, this is a serious piece of professional equipment, built for those who can't afford to compromise. Expensive as it may be, it is sharp, rugged, fast to focus, has little distortion, is resistant to flare and doesn't suffer badly with chromatic aberrations. It works exactly as you'd expect a lens costing this much should do and can only be described as an 'excellent performer'. 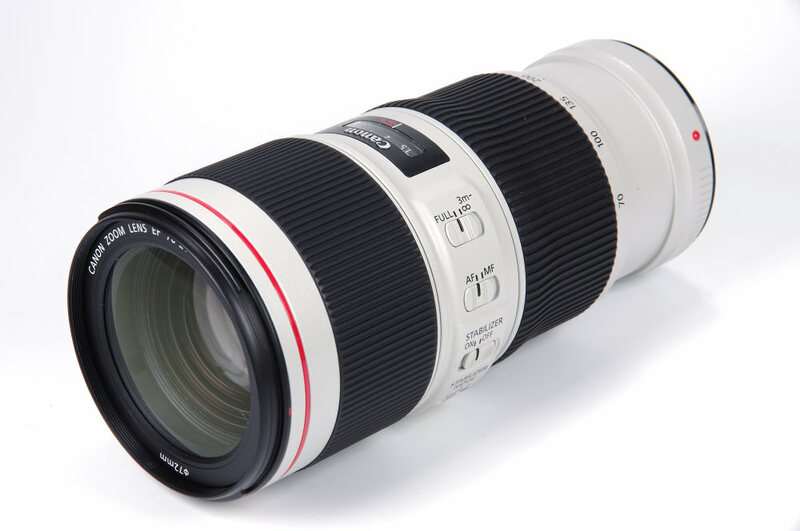 This version of Canon's 70-200mm f/2.8 lens sports fast silent ultrasonic focusing, weather sealed construction and a four-stop image stabiliser and costs around £1800. During testing, this lens proved itself capable of producing sharp, contrasty images at all apertures and focal lengths. It is built like a tank, focuses quickly and the four stop image stabiliser does a superb job of ironing shake. Also worth considering is the 70-200mm f/4 L IS lens. 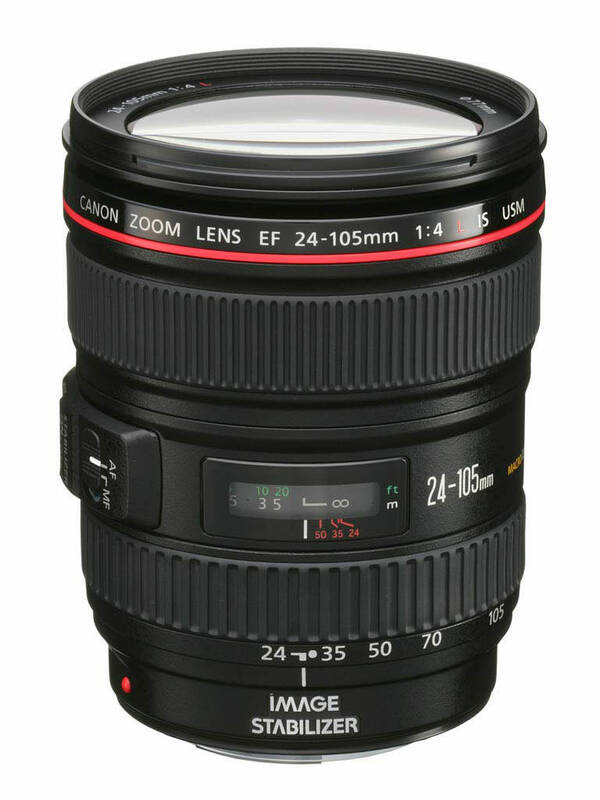 Canon's EF 24-105mm f/4L IS USM is a popular choice amongst those after 'L' series lens quality, but with a decent zoom range. It's a great all-around standard lens which, apart from covering a useful zoom range, delivers excellent sharpness and is built well enough to take the rigours of daily professional use. The IS performs well but CA levels are disappointing. Having said that, the lens does offer an excellent resolution in the centre throughout the zoom range and good performance towards the edges when stopped down. 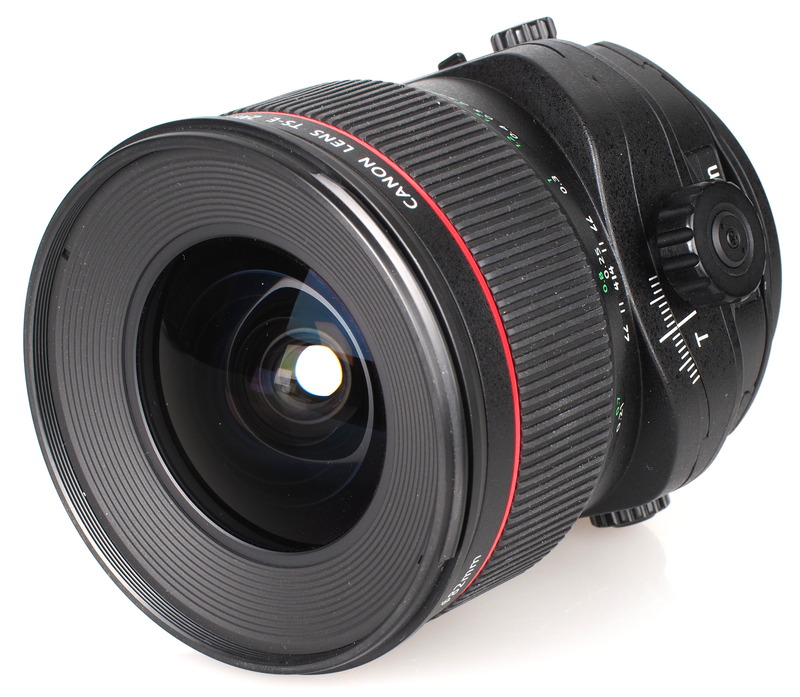 The Canon TS-E 90mm f/2.8L Macro is a specialised optic that would be delightful to own, but at the price level will probably be for professional photographers with particular applications clear in their minds. It will be a workhorse and it will earn money. 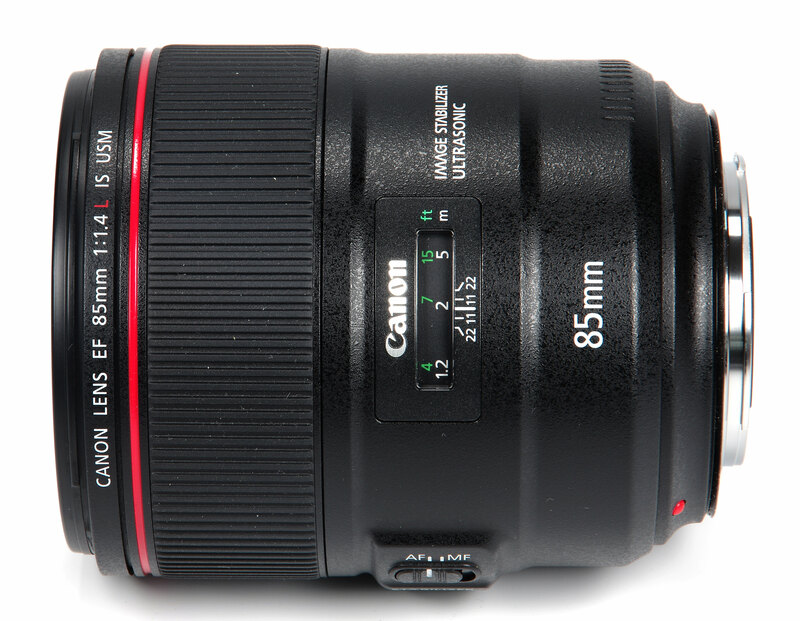 Gorgeous and expensive, the Canon EF 85mm f/1.4L IS USM lens is that aforementioned thing of beauty. There is no doubt that it performs superbly and produces exceptional images, efficiently and with outstanding ergonomics. The Canon EF 85mm f/1.4L IS USM is a beautiful, high-class, classic focal length lens ideal for portraiture and it will not disappoint. 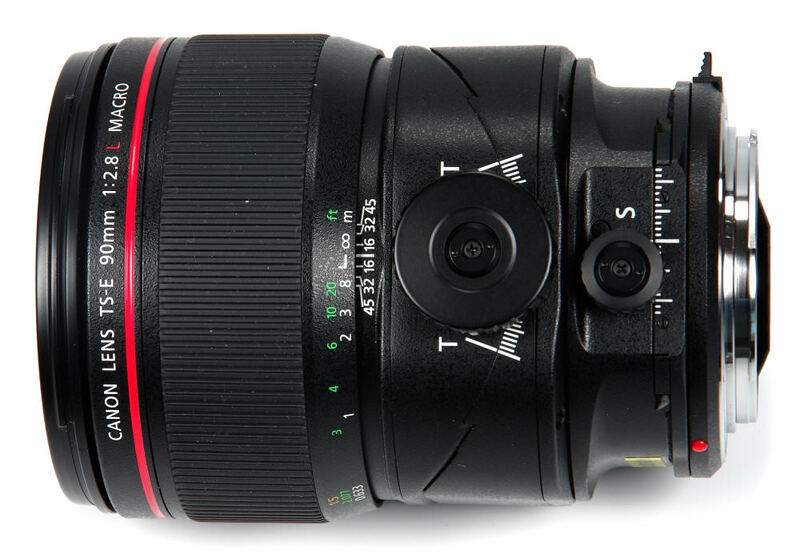 This tilt-shift lens for full-frame cameras has a wide, ribbed manual focus ring. Lens construction is 11 elements in 7 groups, including aspherical and UD (Ultra Low Dispersion) elements. The lens diaphragm comprises 9 blades, although there is no control of the aperture on the lens itself, this being controlled by the camera body. The latest Canon Subwavelength Structure and Air Sphere Coatings are employed. We praised the lens for excellent, even sharpness and low distortion/CA. 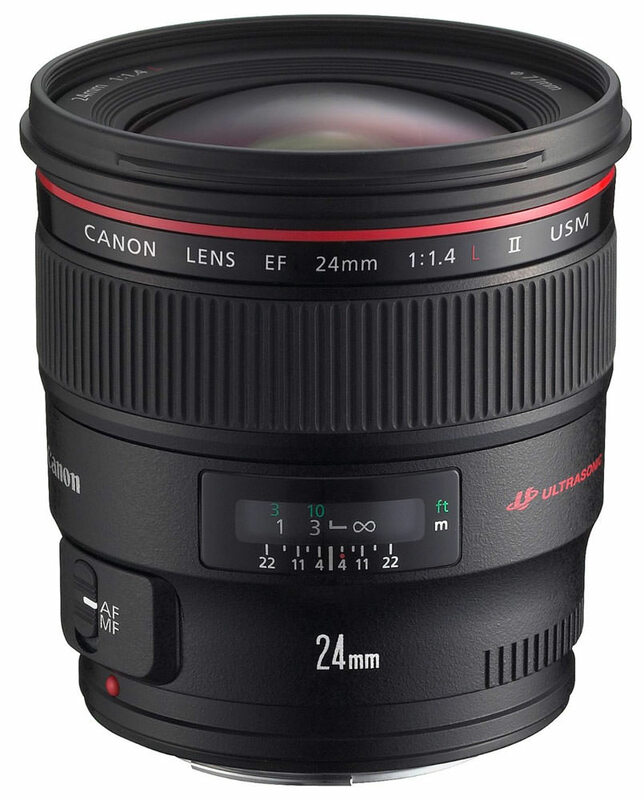 The Canon TS-E 24mm f/3.5L II is a wide-angle tilt-shift lens that delivers superb clarity and is packaged in a robustly built and well-designed body. The controls for applying lens adjustments are easy to adjust and overall this lens should more than satisfy the needs of anyone after a tilt-shift optic. Image are sharp and CA is extremely well controlled across the entire image area, with fringing remaining below a quarter of a pixel width at all aperture settings. The lens is very resistant to flare, and contrast holds up well when shooting into the light. Despite its age, this lens is still capable of producing excellent results. The resolution recorded in the centre is high, even at wide apertures and even though the resolution may fall off towards the edges, it's acceptable in use with wide aperture lenses such as this. The lens offers outstanding performance across the frame when stopped down and is very resistant to flare. Build quality is excellent and the lens should be able to withstand the rigours of daily use, along with a bit of rough and tumble, or inclement conditions. 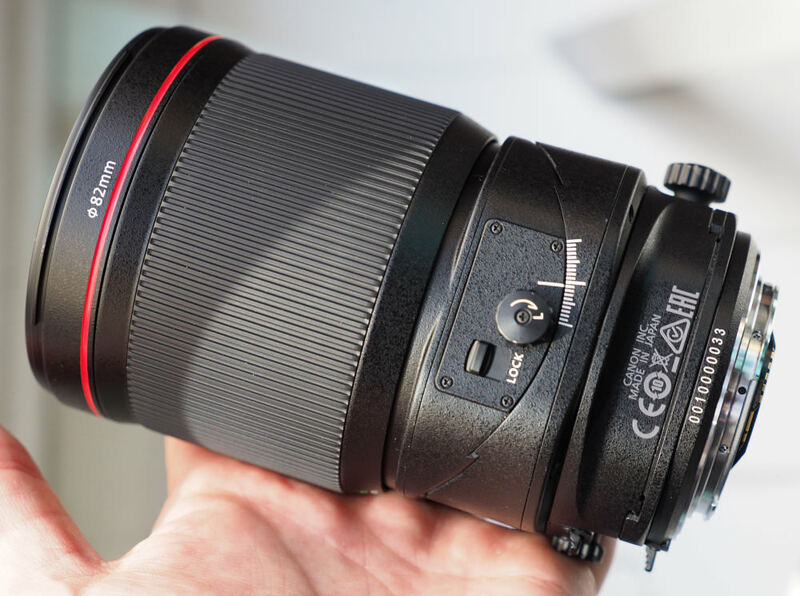 This lens has been around for quite some time now but thanks to its performance in our review, it's still worthy of a place on our list. It doesn't feature a weather sealed body like others do further up the countdown but it still manages to hold its own against more modern competition. With fantastic optical quality and build and a reasonable price, the Canon EF 135mm f/2L USM offers very good value for money for a lens that has a fast maximum aperture of f/2, low CA and offers excellent sharpness. This medium telephoto lens from Canon sports a fast f/1.8 maximum aperture and ultrasonic silent focusing that is performed internally. This lens is a bargain for those looking for a very capable lens for portraiture that delivers excellent sharpness with low levels of chromatic aberrations and distortion. Also worth mentioning is the good build quality and fast autofocus speeds, making this a compelling choice if you are looking for a lens of this focal length to add to your collection. This lens is the only APS-C lens on the list, the rest are FF, and to say it's so reasonably priced, the image quality it offers is really great. This lens delivers excellent sharpness, low CA and reasonable distortion, which is fantastic for a lens costing under £300. IS performance is good and focusing is fast, plus the lens is lightweight which is never a bad thing. If you don't require a fast maximum aperture for your ultra-wide-angle shots with your APS-C Canon DSLR, then this lens should be more than adequate, whilst keeping some of your hard earned pennies in your wallet. As well as a Canon lens round-up, we also have a Top 27 Best Portrait Lens feature as well as a Top 15 Wide-Angle Landscape Lens article that is well worth a quick browse. If you enjoy macro photography, take a look at our 10 Best Lenses For Macro Photography feature to see which macro lenses have made our top 10. Hard to improve on your work Neil. 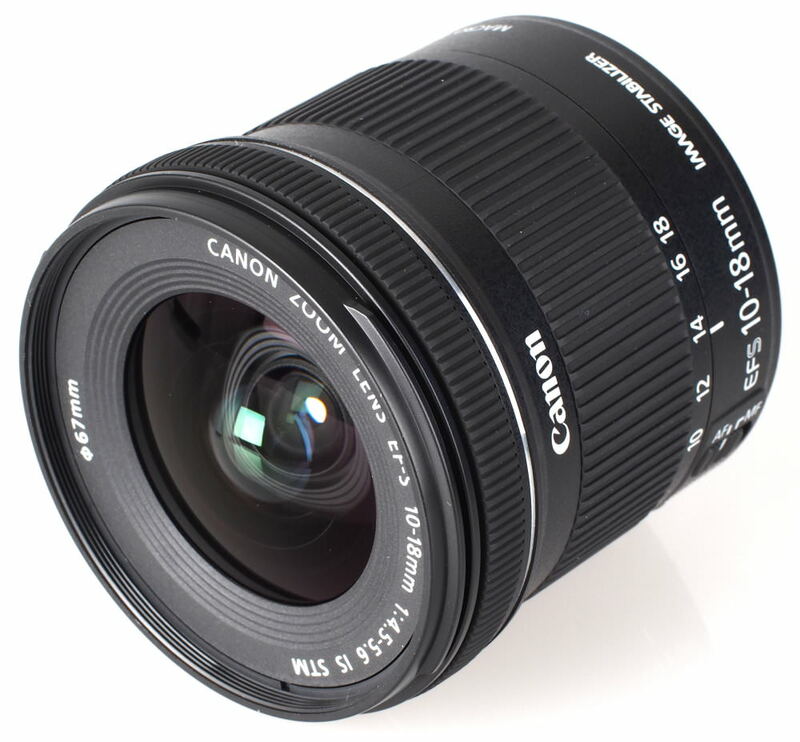 A interesting list - but is number 11 not bested by the later mk2 model - http://www.canon.co.uk/lenses/ef-24-105mm-f-4l-is-ii-usm-lens/ Is there a similar list for EOS camera's - regardless of lens manufacturer? Is there a similar list for EOS camera's - regardless of lens manufacturer? 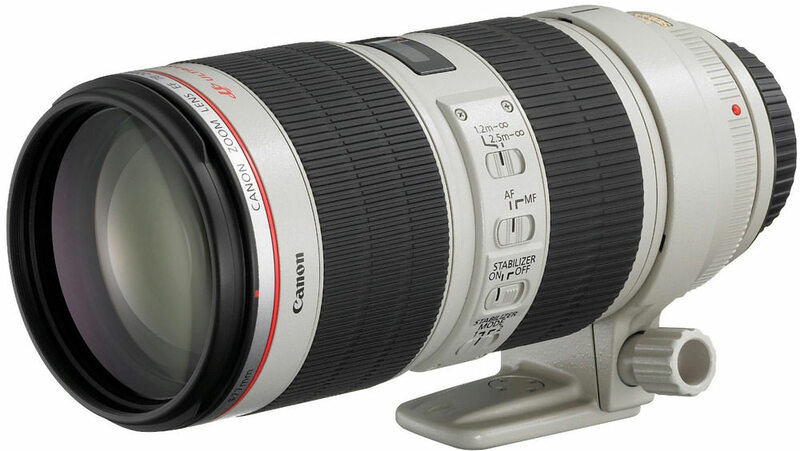 Well, in the 9th row, Canon EF 300mm f/2.8L II IS lens is listed. 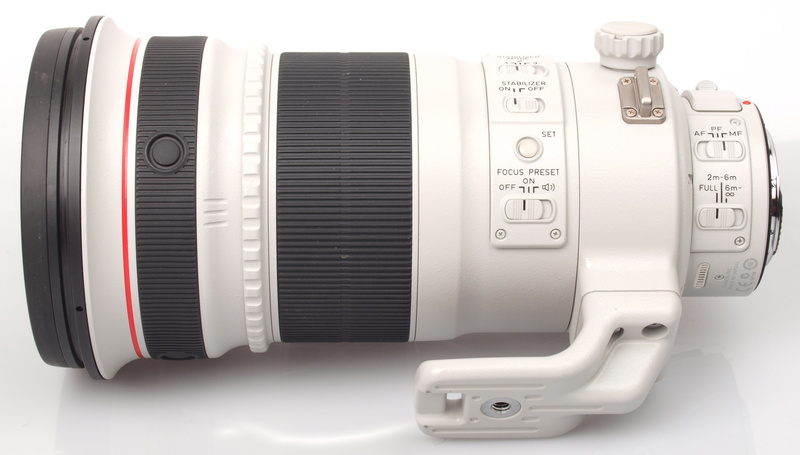 In my opinion, Canon EF 400mm f/2.8L II IS lens must be listed instead. I had used it for a few days and it is really amazing to have f/2.8 at 400mm focal length! Why aren’t you showing the improved Mark II versions on some of these? Josh, What about the 35mm f/1.4L Mark II? What about the 35mm f/1.4L Mark II? It didn't score are high overall, due to the price compared to the original. I rented the 35mm f/1.4L Mark II a couple years ago for a wedding after looking at the test results compared to the previous version on the-digital-picture.com I’m most concerned with final IQ, and this lens seemed to be the best available for Canon by a long shot. I was extremely pleased with the wide open results, when the AF nailed focus. I’d not hesitate to buy it if I had the need to use it more often, but I rarely shoot weddings and low light events, so renting makes more sense. I’m most concerned with final IQ, and this lens seemed to be the best available for Canon by a long shot. I was extremely pleased with the wide open results, when the AF nailed focus. I’d not hesitate to buy it if I had the need to use it more often, but I rarely shoot weddings and low light events, so renting makes more sense. I have several questions about this list. Why is the Canon 50 mm f /2 not included on this list? Why are the f4 versions of the version ii lenses represented over the f 1/2/4/8? The wider open and faster shutter speed does make a difference and if at all possible will not purchase a 4L and above if I can afford it. Too frequently I regularly find circumstance where I need the extra specs. [quote]Hi John, The review of the 35mm f/1.4L Mark II can be found here: https://www.ephotozine.com/article/canon-ef-35mm-f-1-4l-ii-usm-lens-review-28614 It didn't score are high overall, due to the price compared to the original. Thanks Josh[/quote] Hi Josh. Wondering if your 35 L ii copy was ok. 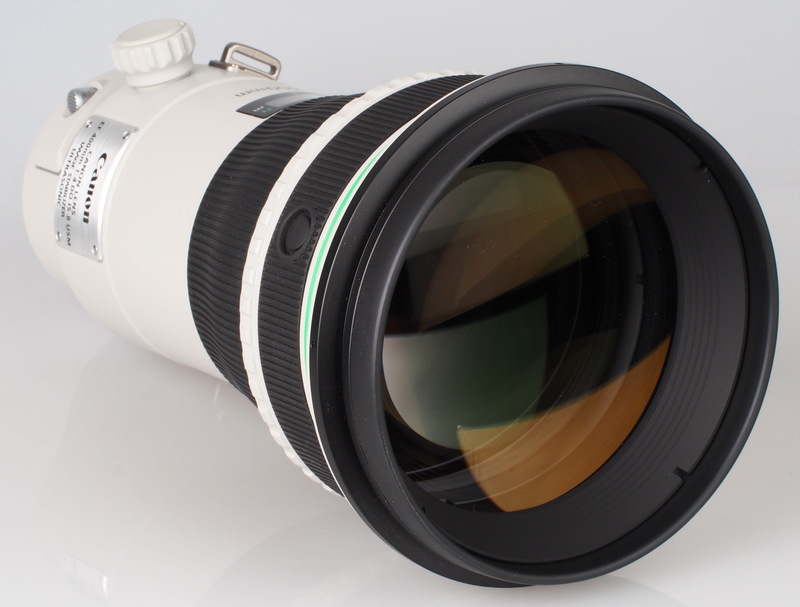 It is one of the best lense ever ((many other websites claim that too). I own it myself and it is really an impressive lense, especially at 1.4 Strange it is not in the top 18 (price is a thing but quality is exceptional). Strange it is not in the top 18 (price is a thing but quality is exceptional). I have 4 out of the 20 and looking to add a 5th which is also in the list. Bit of a shame that all but two of these are L lenses. I dream of being able to afford L glass, but budget won't allow it. I put an EF-S 17-55mm f2.8 on the credit card, and that was pushing things!! 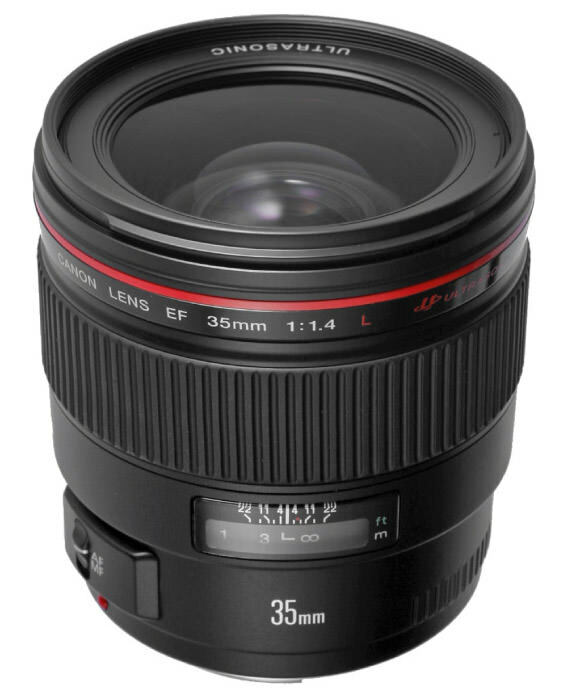 Not all us photographers can afford stuff like this - how about a round up of best budget Canon glass? Bit of a shame that all but two of these are L lenses. I dream of being able to afford L glass, but budget won't allow it. I put an EF-S 17-55mm f2.8 on the credit card, and that was pushing things!! Not all us photographers can afford stuff like this - how about a round up of best budget Canon glass? Quote:Not all us photographers can afford stuff like this - how about a round up of best budget Canon glass?